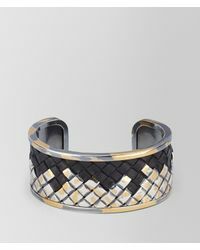 See more Bottega Veneta Bracelets. 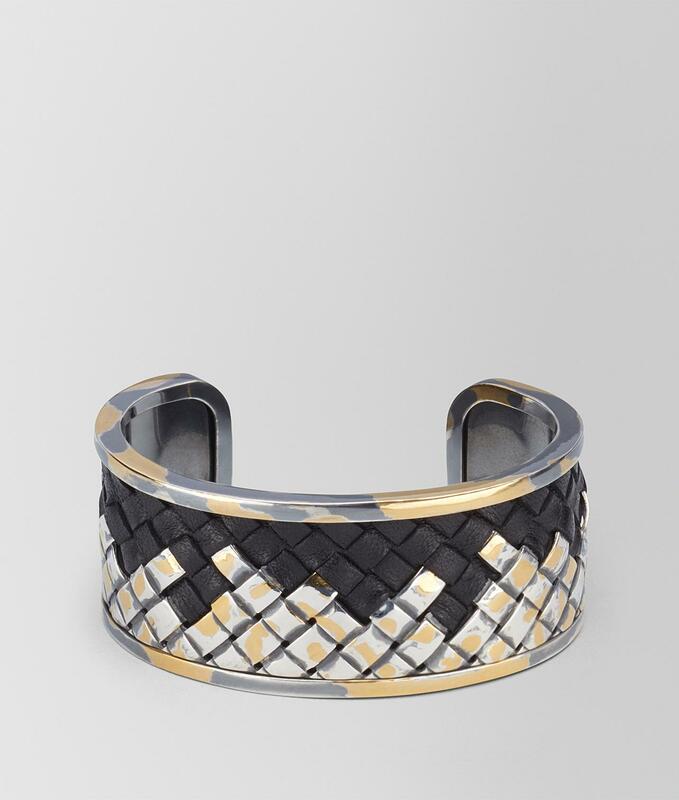 We check over 450 stores daily and we last saw this product for £1,980 at Bottega Veneta. 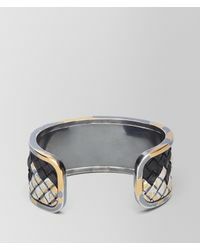 This handcrafted cuff features leather interwoven with oxidized silver to create a unique intrecciato pattern. 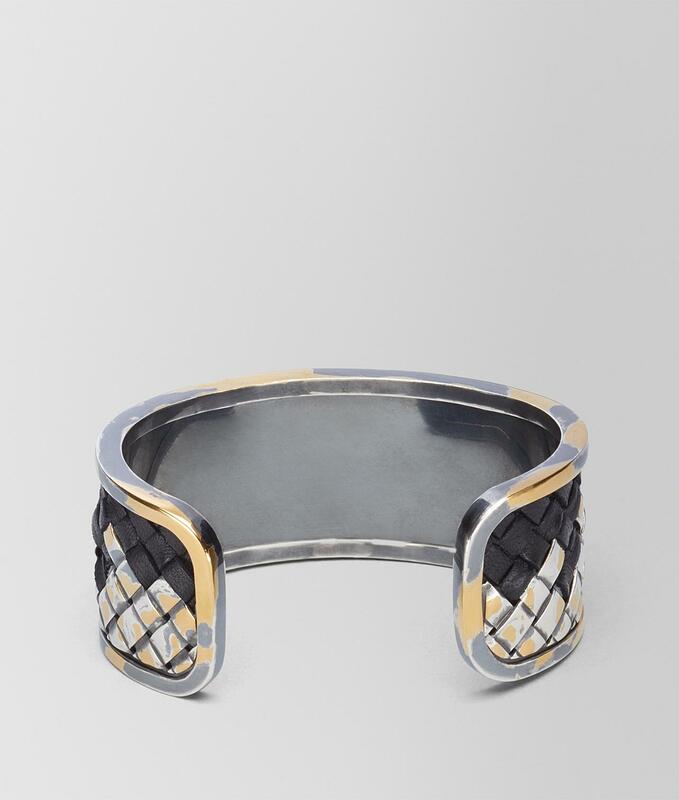 Composition: nappa, sterling silver. Size s: 6 x 4.8 cm | 2.3". Size m: 6.3 x 5.1 cm | 2.5". Made in italy. No fastening. Composition 50% silver, 50% lambskin. Made in italy.